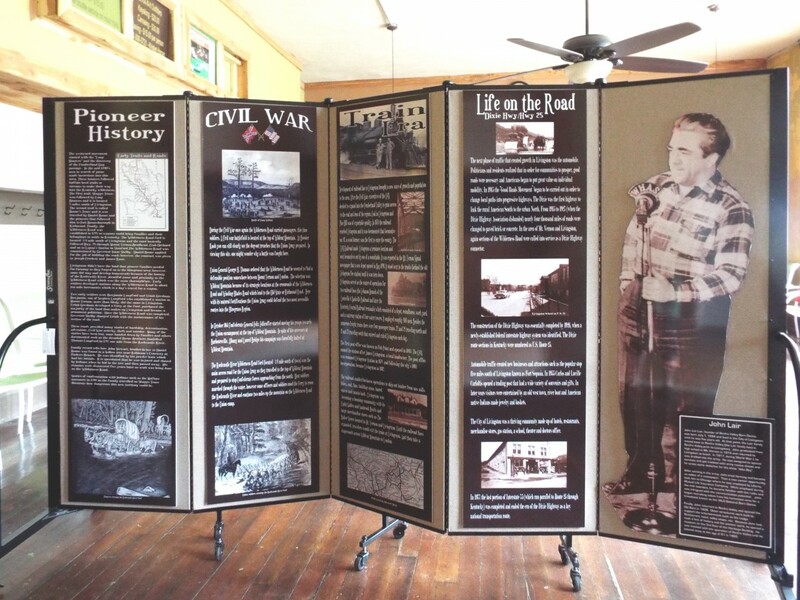 Uses: Bulletin Board, Museum, Other Markets Lengths: 5 panel 9'-5" Heights: 6'-0"
This image demonstrates a great way to use a room divider as a display panel such as done here by the Rock Castle County Development Board! The society printed material depicting local historical information and figures to fit each panel of the room divider. Velcro is used to adhere the large prints onto the fabric panels. This historical display can be easily moved into other rooms as needed and changed to feature other information. Sturdy, durable and long-lasting, Screenflex portable walls are available in 6 heights and 6 lengths and 38 Colors choices. Units ship fully assembled and ready to use.